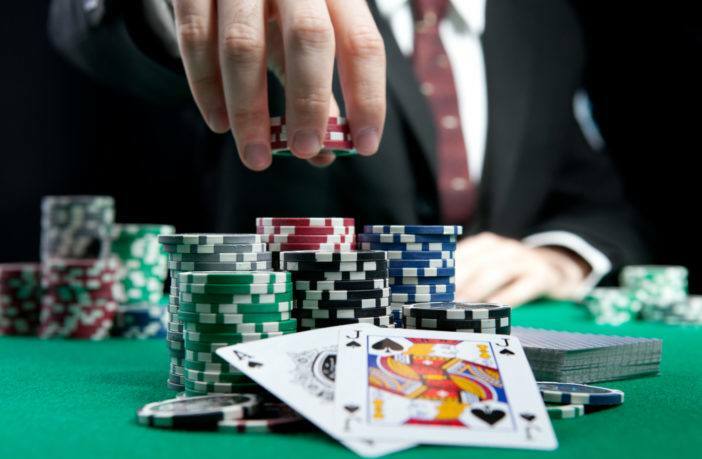 You are at:Home»Poker»Beat the Game: Is Poker a Game of Skill or Luck? Did you know that poker is a high-profit industry on its own? After all, it earns about $4.5 billion each year from across the globe. A lot of people are willing to pay high amounts of money for a shot to win it all. In fact, a little less than 6,700 people paid about $10,000 to join the most popular poker tournament in the world in Las Vegas. Do you want to give it a shot? Professional players read the best poker books to formulate more effective strategies but do these help? Is poker a game of skill or is it merely based on good luck? The key question you need to ask is what dominates poker more: chance or skill? Is poker a game of skill or is a success all up to random luck? This determines whether the game type is the former or the latter. The great thing about modern studies is that there are studies made about this subject. The study drew on a database of around 456 million player-hand observations. They come from online poker games gathered within the span of a year. The researchers first investigated the level of consistency each players’ performance has. The study mentioned above revealed that there is enough evidence to support the big role of skill to succeed in poker. For example, the top 10% of the best-performing players within the first half of the year will perform at a similar level for the second half. The chances of them having this performance level are twice as much as normal poker players. The top 1% of the best-performing players have a higher rate of consistency. Their chances of performing well for the rest of the year are 12 times higher than the average poker player. This type of consistency also applies to bad poker players—they continue losing after suffering a bad start. So, what is the main point behind these studies? It’s simple—the performance rating of each player is predictable and consistent. If poker was a game of chance, the researchers won’t find any correlation between players and their winnings across different time frames. Despite these findings, it doesn’t answer the question, “is poker luck or skill?” The same research wanted to get a definite answer, so they ran simulations. This helped in comparing the level of performance exhibited by both skilled and unskilled poker players. The results yielded a definite answer: skilled players do better than the unskilled ones at least three-quarters of the time. That means after achieving this number, poker becomes a pure game of skill. It’s especially the case when people play within 19-25 hours. You can lessen it if you play in different tables at the same time. This is good news for most poker players since they can now rely more on their talent and guile to make them win games. Validation and bragging rights aside, there is a big issue at hand when determining whether poker is a game of skill or luck. It’s the legal implications that make this issue matter more. Thus, a lot of studies get funding to reach a definite answer. For example, players from the United Kingdom need not pay taxes on their winnings. The main reason is the fact that players claim poker to be a game of skill, rather than chance. This will apply whether you’re a lowly online poker player or Victoria Coren Mitchell, whose earnings in professional poker go beyond $2.8 million. In some countries, they see poker as a game of chance and luck. That’s why it’s affected by tougher laws. In most states in America, online poker is illegal due to their Unlawful Internet Gambling Enforcement Act. As for Australia, interactive gambling isn’t allowed. But the good news is that it isn’t an offence for Australians to go to online gambling sites and use them for poker. After all, the new laws only aim to punish interactive gambling providers. It’s important to remember that poker will involve a bit of luck at the beginning of the game. But the pros often make it a point to use mathematics as a means of making superior decisions. This will help them win the game as the games progress. Unlike any other casino game, your opponent in poker involves other people, not the house itself. As any professional knows, the house will always win. It’s a known fact that the biggest casinos hire top-notch math graduates to make handsome profits from the margins of their games. But for poker, the house only gives players the place to play the game. They have no way of profiting from the poker hands’ outcomes. Most of the time, they only get some profits from collecting their cuts from tournament buy-ins and cash game pots. You’ll often play against other people, even amateurs in most cases. These people will often make mistakes that you can use as winning leverage. That’s why you need to know when to fold your poker hand to maximize your earnings. If you’re playing to win, you need to get on a table with recreational players. These people often play poker for the thrill and thus often lack the skill. This will make them commit technical errors, making them easy opponents. Winning at poker is a consistent application of certain mathematical rules. Always determine whether you’re at a statistical disadvantage or advantage. In either case, it will dictate whether you put less or more money on the pot. Another skill you need to play poker is the ability to bluff your way. It takes a while to develop this skill, but you get more edge if you know when the opponent is at their weakest. It could help you lead them to fold their hand and win more than what your hand deserves. It does sound easy when it’s in theory. The problem is that a lot of poker players still face losses even when the math favours them. Don’t get tilted when you get blindsided by an unthinkable win—stay logical and unemotional. After all, the person who holds that hand isn’t going to win in the long run. Keep running on it a few more times and rely on statistics. Before long, they will go broke and lose whatever advantages they might have. As stated before, there is a crazy period of a short-term variance in poker games. This can still mess up your mind even when you’re experienced as a player. But you need to understand that losing with the best hand can happen from time to time. The simple mathematical fact is that you’ll win in the long run when playing better. When you’re in a bad run of poker, trust the process. It might take a long time to sort out the process, but once it does, you’ll end up with more wins. That’s why you need to ensure that your thinking goes beyond single hands or sessions. Poker isn’t a get-rich-quick scheme, so take your time and learn. The game will reward your patience as long as you use your skill advantage on a regular basis. Most players value longevity in their careers more than they value money. A lot of professional celebrities are more likely to brag the number of years they spent playing the game. Those who continue relying on luck become rockets that shoot up for a short time and fade away after. Recreational players play poker for fun. If they get outplayed all the time, they will realize that wishful thinking will not allow them to win against someone with more skill. Players quitting the game don’t bode well for the poker community. That’s why it’s important to at least give bad players a win around 18% of the time. Doing this ensures that they will keep blaming their losses on a streak of bad luck. That way, you can continue earning easy wins and more money. Is poker a game of skill or luck? There is a bit of luck and randomness but at the end of the day, winning relies heavily on strategy and a good poker face. To win the games, you need good poker skills to ensure that you’re one step ahead from your opponents. If you’re still confused whether poker is a game of chance or skill, use this guide as proof that it’s the latter. Don’t let a bad run make you tilted—use statistics and approach the game with logic. Do you need more help in developing your poker skills? If so, read our guide here and learn how to have a good poker face.